The statistic shows the score given to El Salvador on the Global Competitiveness Report from 2008 to 2018. This study assesses the competitiveness level of countries' economies worldwide. In 2018, El Salvador scored 52.82 points, out of 100, up from 52.43 points a year earlier. * From 2017, the study methodology changed. Before 2017, the index ranged from 1 to 7. As of 2017, it ranges from 1 to 100. 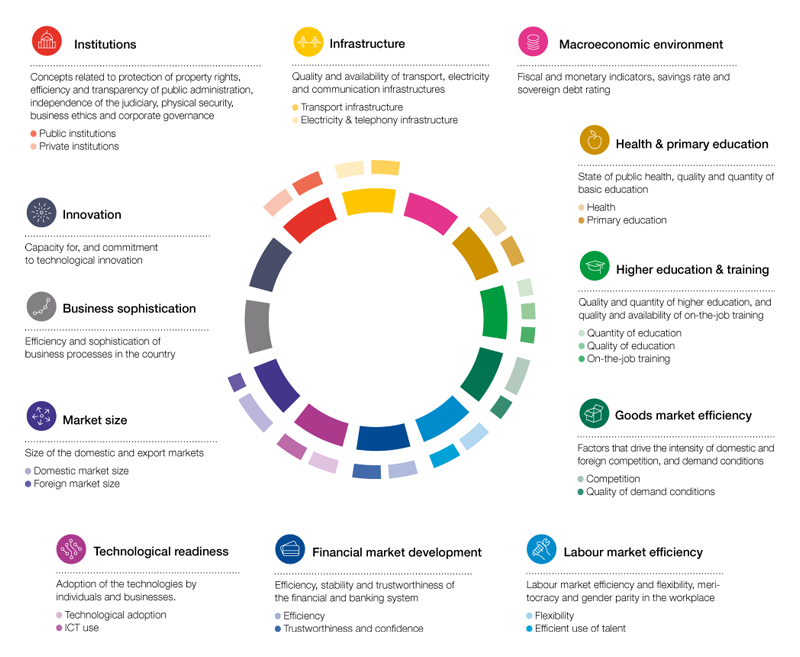 The Global Competitiveness Index is based on twelve pillars of competitiveness, such as technology levels, infrastructure, labor market efficiency, etc. These indicators are combined in an index which provides insight into how a country is able to generate wealth.